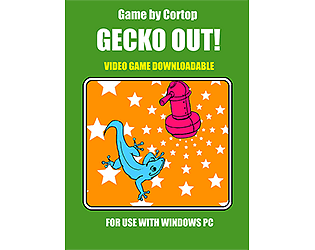 Help a little gecko escape a factory full of crazy robots! I had fun playing this game. I also agree on the great box art mock up! Great job! Thanks! 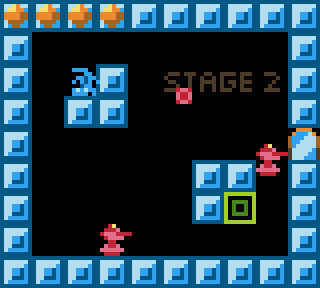 If I make more retro-style games, then I'd love to make another mockup. Maybe I'll try a different computer/console box's style? I really enjoyed that, fun music and awesome effort mocking up box art. Thanks! My attempt at minimalism ended up being more retro, so I figured I might as well make a fake box inspired by the king of minimalist box arts, too. 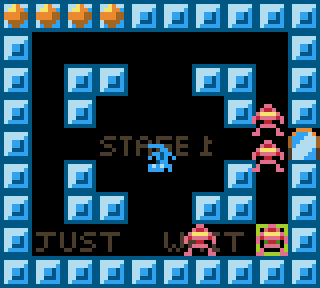 You should definitely think about joining https://itch.io/jam/lowrezjam2017 if you haven't already, seems like you've got the style nailed. Yo, I noticed a few people downloaded my game, but there were a couple of game breaking bugs I missed (namely the game crashing at the last level due to a missing object and the player having infinite health). 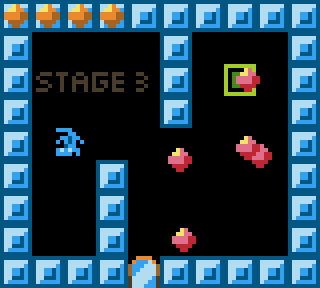 If you already played my game, then I'd really appreciate it if you tried the fixed version!